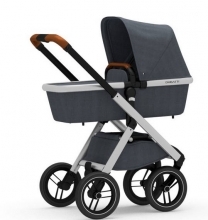 Beautiful pram - perfect for forest and uneven terrain. Beeinduckender design stroller that meets every individual color request. Due to its enormous diversity, every Dubatti One is something very special. 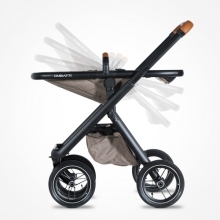 The color accents, frame and handle make this stroller an impressive eye-catcher. 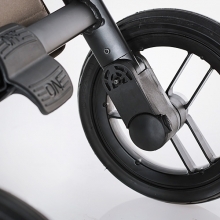 The pull-out telescopic slide of the stroller can be perfectly adjusted to any size. In addition, the Dubatti One has set the axis extra high, so you do not bump while running. Not even if you go a little faster and take big steps. • with a large air wheel: especially suitable if you like to take nature walks and ride on uneven terrain. The stroller has a large high-quality basket, in the body color, which is equipped with magnetic locks. The cover of the tub is equipped with zippers and keeps your baby nice and warm. The tires provide extra comfort. 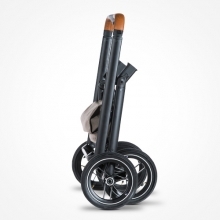 With four large wheels for use in all areas indoors and outdoors. 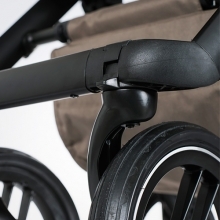 The handle is adjustable in height with one hand. 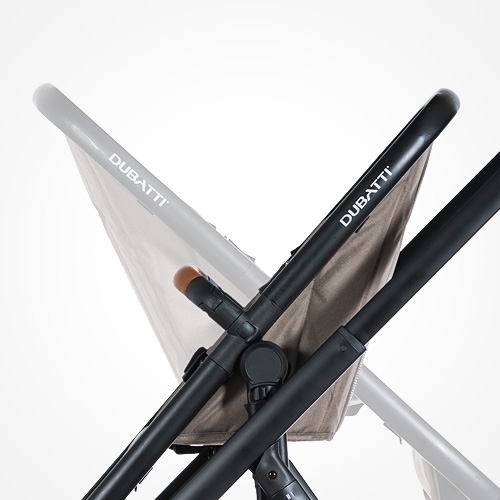 So everyone can control the Dubatti in the right position, ergonomically and comfortably. 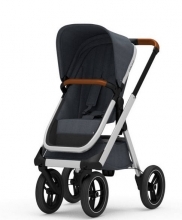 The suspension provides optimum comfort and handling. 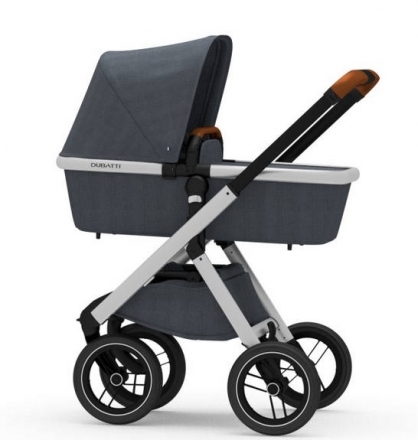 Your child can sit quietly and comfortably due to the dampening effect. The brake pedal is easy to use. You do not have to put your foot under the brake: shoe friendly. The 5-point harness ensures your baby, for sure. Easily adjustable, so that the belt always fits. With padded shoulder pads for extra comfort. The rollers on the front make the Dubatti very agile. And you are good on rough terrain. The safety bar on the frame is very easy to open. So you have your other hand free for your child. 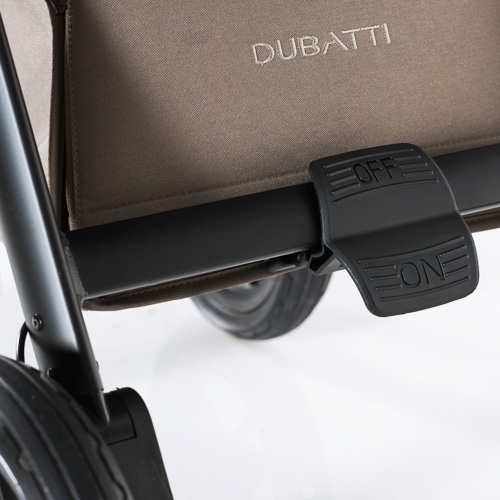 With the optional adapters you simply place your baby bowls (group 0) of the different brands on the frame. The seat can be positioned slightly opposite. So your child can look to you or even to the front. 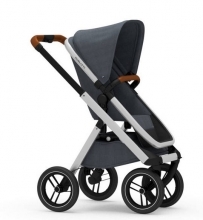 The stroller attachment and seat can be fastened in two different heights. Ideal for taller people and convenient if you want to push your child to the table. The Dubatti can easily be folded into a compact package. In addition, the wheels are removable. The Dubatti can be folded with one hand. Very simple and practical. The Dubatti can be folded upright. This is super comfortable and space saving! The large hood is adjustable with one hand and fits perfectly into the frame with the help of a zipper. The bag hooks on the handle provide maximum comfort. Handy for kindergarten or attaching other bags.